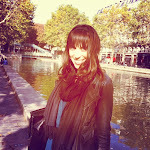 LaFleur de Paris: GOT MYLK? I do. And probably will every day while the sun shines down on Paris, France, may I add. 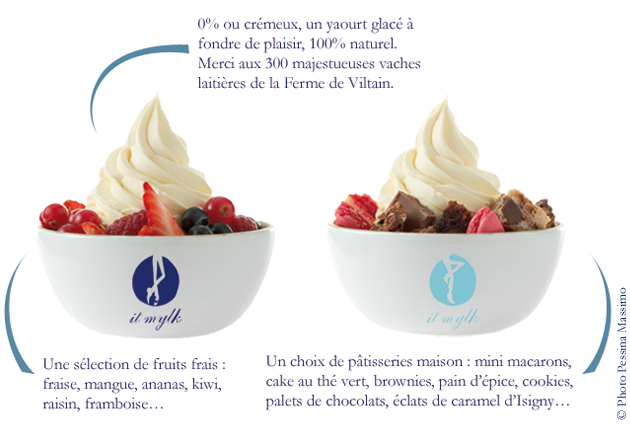 My new discovery / soon-to-be uncontrollable addiction I fear is It Mylk, a new fro-yo shop located on the rue de l’Ancienne Comédie, just across the street from the Odéon metro and, more importantly, around the corner from chez moi. By “fro-yo,” I don’t mean the fat-free/sugar-free/taste-free variety common to dieting females of American descent – this fro-yo is in fact, frozen yogurt, aka yogurt that has been frozen (ok and sweetened a little bit, but no sugar added, just good-for-you fructose-fabulous agave nectar!) The cute little shop was founded by two adorable Parisiennes – the Lorenzi sisters, aka Mathilde and Constance – who fell in love with the frozen yogurt concept in New York then decided to open up their own version with a Parisian twist. 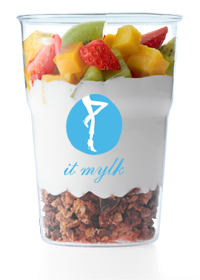 It Mylk serves up yogurt for “it gyrls” – both a standard frozen variety that can be topped with everything from fruit to brownie pieces to muesli and good old regular yogurt, served with granola and fruit or with a more decadent chocolate dulce de leche flavor. The regular yogurt also comes in a “Detox” flavor infused with Kusmi Tea’s famous “Detox” variety (or maybe it’s not famous, but it’s certainly MY favorite Kusmi flavor and thus SHOULD be famous!) The yogurts come in both a full-fat variety and a "0%" fat-free variety for those on a REAL detox. 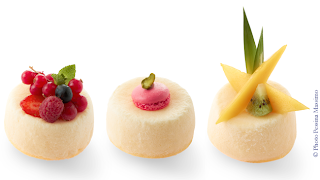 The it gyrls of it mylk also serve up "Mylky cakes" courtesy of Gabrielle Jones, Junior Champion of French Pastry (yes, they actually have that competition here and take it very seriously, mind you – only in France!) 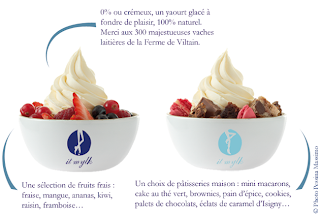 All of the yogurt comes fresh from the cows of the Viltain farm, around 17 miles outside of Paris. Looking for a cool New York treat in Saint Germain-des-pres ? Well, now I’m no longer the only one, but very happy to be able to cool off with a delicious fro-yo à la française just around the corner. It Mylk: it does a body très bien! I live right near it mylk and kept walking by before it opened, drooling at the prospect of having a better-than-pinkberry right near home. I went the day after it opened and was actually pretty disappointed...I feel it's really expensive (especially when you've got amazing ice cream from Grom right next door) and they really aren't very generous with their toppings! And as for the taste of the frozen yogurt itself, I was expecting something a little creamier and tastier even for 0% fat. Pretty unmemorable for me unfortunately :( Oh well! Hmmm...well they say all the non-fat US versions are actually loaded, since they measure by the nono-teaspoon or something. I will certainly try it out. Grom I think is definitely overpriced. For heaven's sake it's just milk.